Max Morton was born in 1943 in Liverpool. At the age of 2, he moved to Latin America (Chile, Peru and Argentina) with his parents, where he stayed up and through his adolescence. From the early beginning, he has shown a profound interest in painting, and taught himself through exploring the traditional painting techniques and the Aztec art in particular. 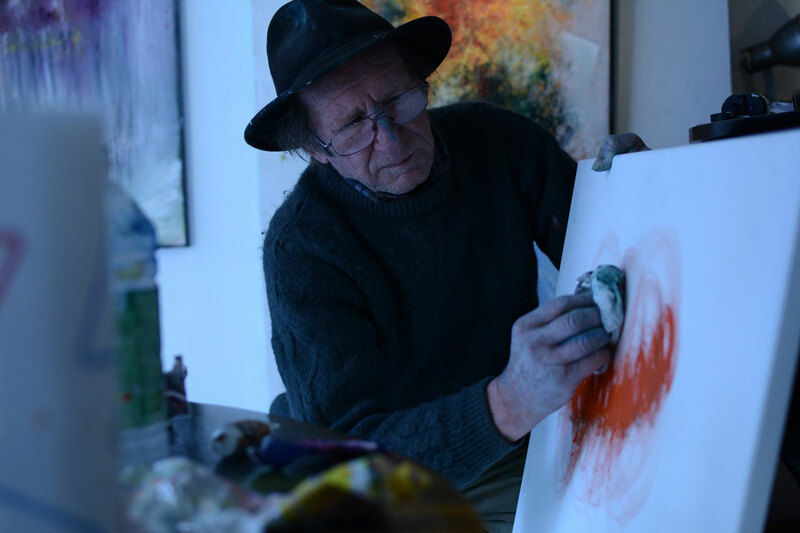 Max Morton's very personal colour palette, which he obtains by mixing natural pigments and ancient colors, enriched by his poetical and phylosophical thoughts, allows him to achieve the particular brightness seen in his dreamful canvasses. The sailing boats, his favourite theme, reflect power and light, while his other paintings express the realms of his dreams and of his desire to escape.